Session 346. Scorching 42C+ in Melbourne and across Victoria today - this heat was blown from inland by a strong northerly. I put some shade cloth over my beehive in the morning then decided to head for Brighton for some kitesurfing in the afternoon. It was too hot to wear even my shorty wetsuit so I dug out some boardshorts and a rash vest. I headed out after a quick dunk into the water to cool off. The wind was strong but not super gusty. I left my new foil board at home as I didn't think a northerly at Brighton would be good for learning. My trusty Nugget performed flawlessly. One guy jellyfished his kite off shore so I stopped and towed it around to help him relaunch it. I did some nice high jumps and landed most of them. I headed upwind past the marina then close into shore. At time I estimated the wind to be 25 knots so I was well powered. I returned with a sequence of slalom turns. Graeme Simpson went past on his foil board who on a fast tour. I tried one back roll but was too tentative and crashed the kite - commitment is required. Back on the beach after landing the wind picked up again. I landed a couple of kites for people that were overpowered on an 11 and a 12. 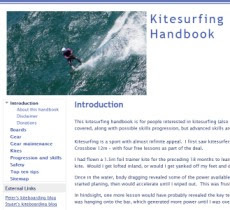 Its always worth going down a kite size when kiting a northerly at Brighton. The thunderstorms visible out on the bay didn't make to Brighton while I was there but the clouds looked dramatic. Killer whales in Port Phillip Bay!